To finish the first month of the year we bring on Saturday, 28th from 10:00 a.m. 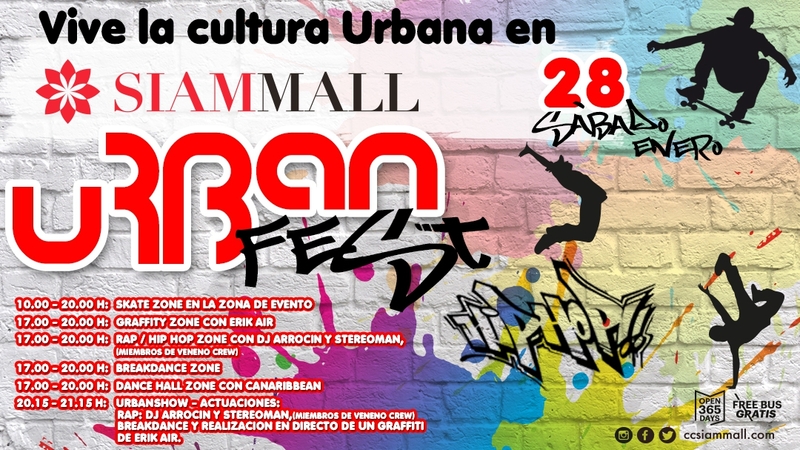 The Urban Fest! An event about urban culture and art. With workshops, graffiti area, DJ's, hip-hop, breakdance and much more.